This is the second email in a series of five, highlighting one of our primary cruise partners. 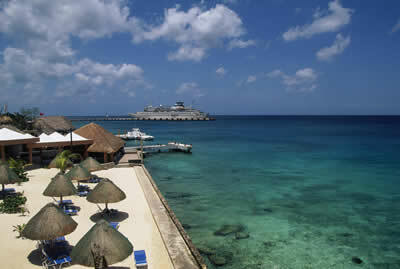 Today we are featuring Royal Caribbean. On a Royal Caribbean ship, you may find it hard to sit still--enjoy rock climbing, or mini-golf, play some basketball, or try out the surf simulator. Newer ships have zip lines, skydiving simulators, observation capsules, trapeze classes, bumper cars or ice skating. But of course, you can relax on the deck, or in the Vitality Spa, or perhaps take in a Broadway show,. Then be sure to tell your friends all about it using VOOM (tm) Wi-Fi, the fastest internet connection at sea. In a recent email, we mentioned that our staff was able to tour the recently renovated Explorer of the Seas, which is one of the ships that cruises Alaska from Seattle each summer. If you haven't yet, please take a look at the slide show one of our staff members put together, it will give you a great "candid" look at all the Explorer has to offer, from comfortable staterooms, to fine dining experiences, welcoming public spaces, and exciting activities. There is truly something for everyone aboard this ship! 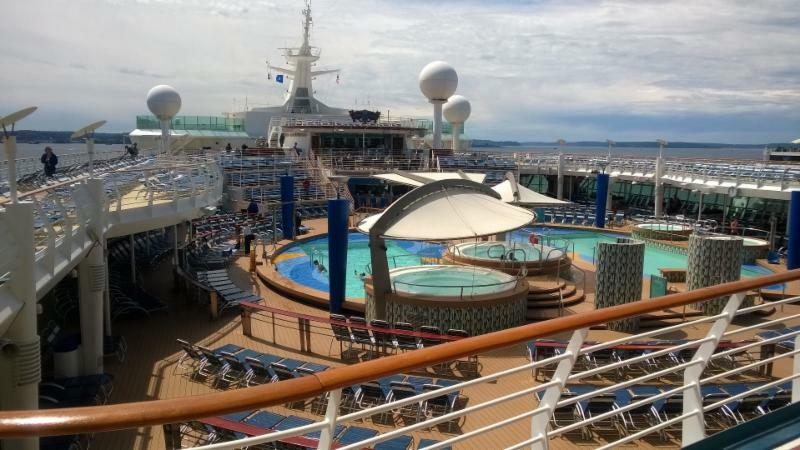 We particularly liked the new Panoramic Ocean View cabins on Deck 12, with views out across the bow of the ship. ​Pacific Coastals Sept 2017 - 3 dates! Royal Caribbean's current promotion is 30% off of every ship, every guest. Yes, that's correct, ALL fares are currently 30% off! But only through August 31, so if you are considering a Royal Caribbean cruise, now is the time to book. If a 7-night cruise is too much time to be away, you may be surprised to find out that Royal Caribbean also offers a number of "Quick Escape" cruises: 3-, 4-, and 5-night cruises to the Caribbean and the Bahamas. You can depart from Miami, Ft. Lauderdale, Tampa, or Orlando, and we can help with airfare and pre- and post-cruise hotel stays, if necessary. These fares start at $199 per person, and can provide an ideal "sun break" during our cloudy Northwest winters. "Going, Going, Gone" offers we receive from our sales rep almost every week. These itineraries offer exceptional discounts on departures less than 6 weeks away, and can be anywhere that Royal Caribbean visits, but are usually Caribbean and European cruises. Thank you so much for your continued patronage! We love what we do, and can't wait to book you on your next Royal Caribbean cruise!